Something beautiful rises out of Chicago. Chicagoans know and understand this, but it is only recently that others have begun to see this as well. If Chicago is best in the summer, then the past five years have reaffirmed this truth. Chicago continues to surprise culturally, especially during the summer when the musical arts are given a chance to rise with and compliment the architecture, parks, waterfront and history of Chicago. For many, this is best found in the festival. Although produced locally, Chicago’s music festivals continue to draw national and international performers and audiences. Not only have music festivals in general found a home in the city, electronic music festivals in particular have begun to take root. With the rise of EDM (electronic dance music), it was inevitable for more genre-specific festivals to rise within the US. But Chicago has taken on a more direct role, with local promoters and organizers creating their own festivals to showcase local acts as well as internationally-acclaimed producers, DJs, and musicians. One such festival vying for local prominence is the Wavefront Music Festival, now in its second year. Running from July 5-7, talent producer and principal producer Dino Gardiakos indicated that the rise of EDM signaled the right time to begin their festival. “If we didn’t get into it now, we knew [the city] would be saturated,” he said. Indeed, beginning with last week’s Electric Daisy Carnival, Chicago will also welcome Spring Awakening at Soldier Field and North Coast Music Festival at Union Park. Although each festival includes electronic music acts, each has found room to separate themselves from the rest. 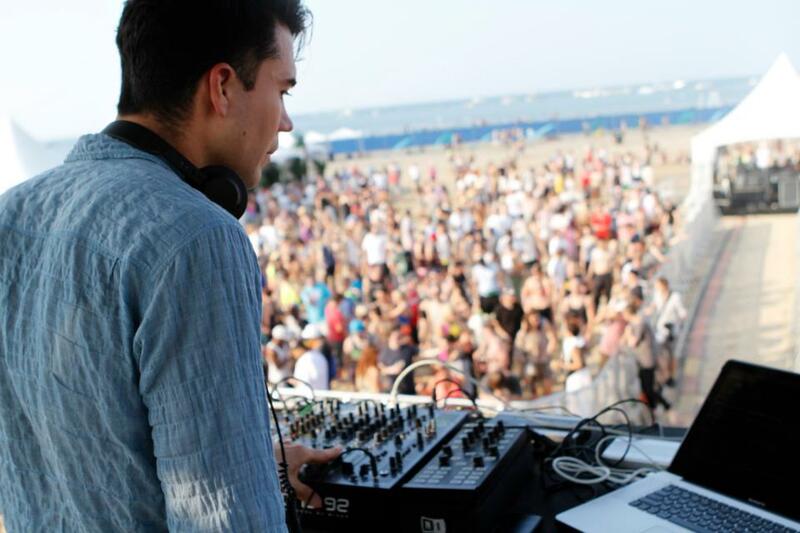 For Wavefront, this includes a combination of location (right on Montrose Beach) and performers. Other festival acts include Fatboy Slim, Jacques Lu Cont, and a DFA Records-heavy roster with sets by James Murphy, Nancy Whang, and Pat Mahoney, among others. In many ways, this rise signals a return to some of Chicago’s musical roots, specifically as the birth home of house music. Originating in the early 1980s, house continued to spread throughout the world, spawning a variety of different subgenres such as deep house and Detroit techno. The abundance of these subgenres, fusion genres, and regional scenes quickly spread throughout the 80s, 90s, and aughts. This year’s lineup includes "House Comes Home - The Chicago Heritage of House Stage." Scheduled performers include Frankie Knuckles, Derrick Carter, and Jamie Principle. Although finding sporadic prevalence in the mainstream throughout the 1990s, in the United States, electronic music has only recently taken a dominant position among music fans. Although many newer fans are only familiar with acts on major labels or pop artists who have incorporated the use of dirty synths and a 4/4 drum kick beat, the rise of EDM could also introduce audiences to more underground or subgenres. Fans interested in attending any of the local festivals, especially Wavefront, will find such varying degrees in the acts. Genres produce scenes and cultures of their own. Scenes can mean different things. They are often problematic, exclusionary, and usually temporary. But they can also provide an idea of normalcy. And as a scene rises, so too does its place in the personal consciousness. This idea is inherent in the term EDM itself, which sums up everything without being specific. In the media, EDM can be used to describe genres, sub-genres, and micro-genres to audiences who might not be familiar with the music. But perhaps it also represents something stronger culturally: collective public dancing, the use of synths, and a desire to escape on a grand scale. It would make sense for the festivals to rise, to respond to this growing cultural popularity that can mean different things to different people.The trend may be a fad or a real sign of the changing musical landscape, one that understands the diversity of musical listeners and the access to different and abundant quantities of music.